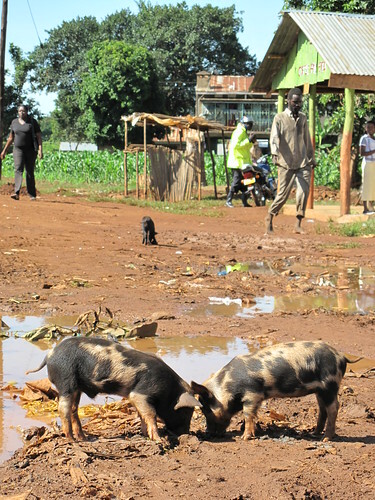 This entry was posted in Agri-Health, Article, ASF, Biotech, CRP4, Disease Control, East Africa, Epidemiology, Health (human), ILRI, Kenya, PA, Pigs, Project, Spotlight, Zoonotic Diseases and tagged BBSRC, BMC Veterinary Research, Busia, Eric Fevre, Lian Thomas, MRC, PAZ, University of Edinburgh, Welcome Trust by Susan MacMillan. Bookmark the permalink. 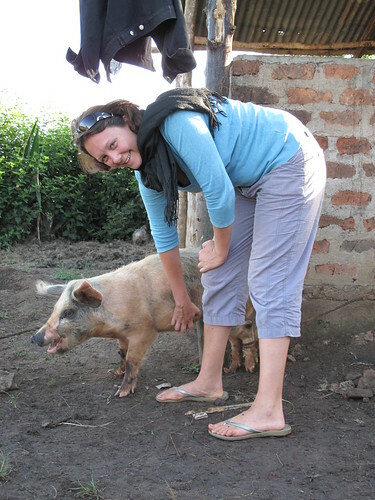 I work with a charity called Comfort Rwanda & Congo (comfortrwanda.org.uk) and we are looking at developing pig farming with our partners in Rwanda. The project is aiming to support income generation among rural poor, and particularly genocide survivors through our partners Good News International. The challenge is that we are committed to some kind of free range system but the Rwandan agricultural sector backed by a drive from government to intensify all agricultural sectors, is encouraging more intensive systems. We have visited small scale pig production units and they operate as individual pens with no access to socialising or going outside their individual concrete pens (c.2 x 1.5 metres each). 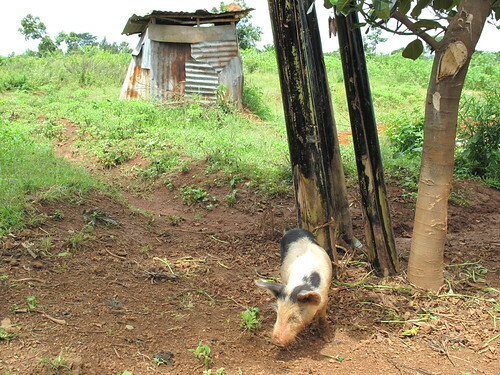 We are keen to try and develop a low cost, small scale, replicable model which facilitates socialising and rooting and yet offers containment of pigs from human settlement. What steps would you advise we take in moving this forward?